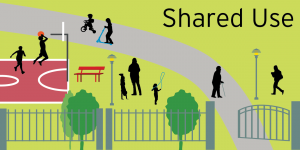 Many organizations and state agencies have developed resources that may be helpful as you begin to explore shared use in your community. We have highlighted some below, and will continue to do so as new resources become available. Although ChangeLab Solutions does not endorse the legal accuracy of these resources, we believe them to be useful in helping communities create successful shared use partnerships around the country.